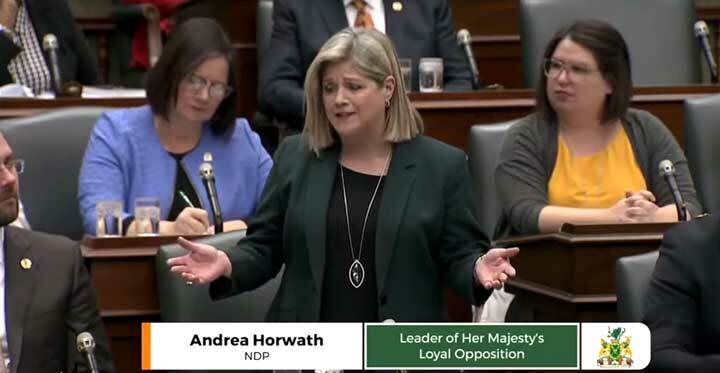 Ontario NDP Leader Andrea Horwath asks a question in the legislature to Premier Doug Ford on April 15. Ford answered that teachers were “so happy” with the education cutbacks in his government’s budget. Premier Doug Ford says he has spoken with “hundreds of teachers over the last few weeks” who are “so happy” with the province’s education cutbacks. 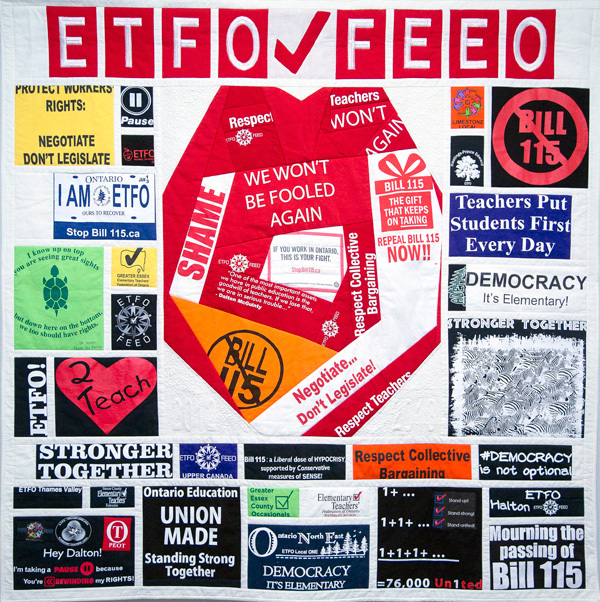 As dozens of educators looked on from the spectators’ gallery and barely a week after 30,000 demonstrated at the legislature building, Ford deflected questions from NDP Leader Andrea Horwath about what the cuts would mean to children in the classroom. Ford bragged that his government had put $700 million into the education system. In his remarks, however, Ford took credit for a 6.6% increase in the education budget for 2018, when his government had been in office only six months. The increase in 2019 is 2.2%, less than Ontario’s inflation rate of 2.74% in March. You can read the entire exchange in the section on “Oral Questions” at this link.